Three paws up for PawBox! 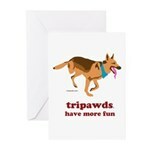 For the record, we have no affiliation with the fine folks at PawBox. We were excited, however, to review their new premium pet gift boxes when they offered to send Wyatt a sample PawBox for dogs. 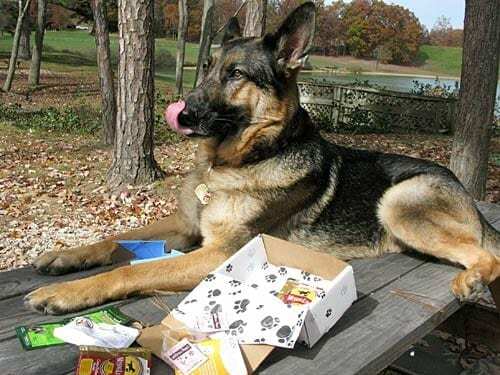 Wyatt loved opening his PawBox and we think your dog will too! We look forward to trying all the samples he received. Where else would we have found out about Himalayan Yak’s milk dental chew treats or the Slurpabown pocket sized water bowl. Humans have all the fun. They have a wine of the month club, salsa of the month club, nuts, beer, t-shirts, even a pickle of the month club they can join to receive select samples of stuff they love on a subscription basis. Now cats and dogs have their club, thanks to PawBox premium pet gift box subscriptions! 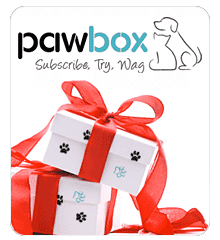 Simply register and subscribe to receive your monthly PawBox. 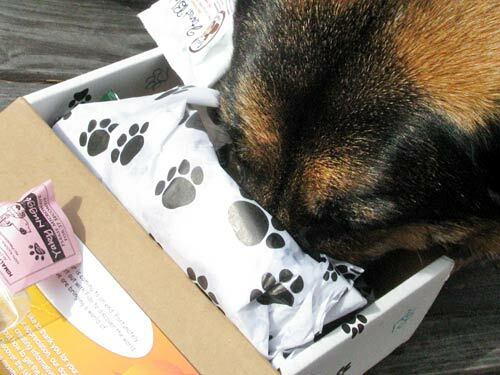 Every month, you will get an elegantly wrapped PawBox filled with carefully selected pet product samples. You can even complete a Pet-Profile at PawBox.com with your dog’s coat type, activity level, and any allergies so your products will be selected to complement your pet’s specific requirements. You will receive a PawBox during the second half of every month, allowing you and your pet to discover and test new pet products on a regular basis. In addition to a selection of luxurious samples, the box contains product information and seasonal tips and tricks. 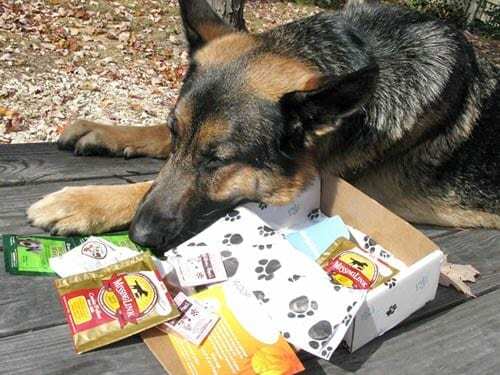 PawBox product selections are original and innovative. You get to discover and try the latest and greatest treats, toys, and nutritional products in the comfort of your own home without any pressure from pet store sales associates. Subscription plans begin at just $10 per month including shipping and can be cancelled anytime with no committment. 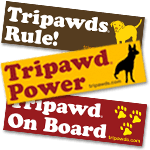 You can even sign up for just three months to try it out, or an eleven-month prepaid subscription to receive a free PawBox in the twelfth month. 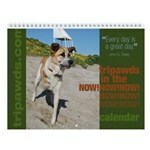 Tripawds Calendars Feature Your Dogs! Based on a post I saw recently from you guys about this company, I went and checked it out. My two girls are now going to get a box every month and we sent 3 months of boxes to 3 of their friends! I think it’s a great idea.